Founders are usually the first to start doing sales in their startup. They offer the product to their friends, former colleagues and acquaintances or simply ask for their recommendation to some other business that may need a startup’s solution. Those few first customers are enough to get you going and help you grow. But, then it is time to grow your own sales team. But how do you start? How do you know what makes a good salesperson? Should they have same qualities you’re looking for in your developers or completely different? How many employees does your sales team need? We help you answer all of these questions and more with our simple sales hiring guide. 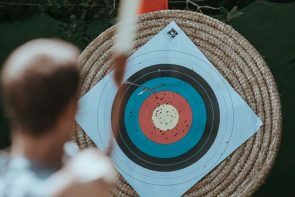 Let’s suppose you have determined your first sales targets, customer journey, pricing and revenue to make you (nearly) profitable. Then you calculated how much hours aka people you will need to reach those targets. Say, for a start, you should hire about 3-5 younger sales reps.
Of course, younger sales reps are far less costly. By experimenting they can give you valuable data on what kind of companies need your solution (i.e. build your ICP), what they are willing to pay and what messaging sells your solution best. Having more sales reps will help you see which one of them is better than the others and by creating a competitive environment you will instigate them to try hard(er). However, young sales reps are without any connections that you can benefit from immediately. They are practically replacing you and saving your time by contacting people they don’t know and offering a solution that is new to your potential customers. They still need guidance from founder and convincing that the product they’re selling is worthy of their effort. You will probably need to provide your sales team with a lead list to help them contact the right people if you want them to focus on selling only. If you think they have enough time, they can look for leads themselves. Some of them will require basic training in CRM, ABS tools, negotiating and cold calling, so make sure you can afford to hire someone to give them those first lessons or simply set aside few days and do it yourself. 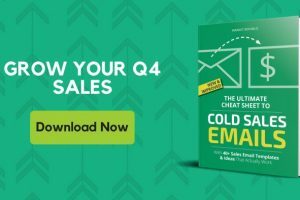 Your team must know how to write cold sales emails because they are your startup’s first contact with potential customers. If you’re unsure about how the average day of a sales rep should look like, there are best practices that you can follow. Joe Curtis from Sales & Marketing Management believes that sales reps with no or little previous experience are the best choice for startups since they can adapt quickly and are far more flexible than their experienced colleagues. Once you determine how much they can sell – start with a commission to motivate them to sell more. You can even set up a success board that shows who are the best sales reps in the team of that week or that month. How do you know who would be a good employee? Salespeople should have outstanding communication skills and competitive nature. They should be so charming that they can sell an ice to an Eskimo. But don’t let their seductive skills work on you. Simply come up with a set of questions that show their ability to solve problems, ask them about their hobbies and expectations at your company. Then explain your own expectations clearly and see how they react. If they think they can’t handle it and are being fair, they’ll probably back down themselves. The more transparent you are in the interview – the fewer problems you will encounter once you hire them. You should ask for the same approach from your future employees as well. Be careful, because a lot of people are able to market themselves so well, especially in sales, you will think you hired the best person in the world for next to nothing, when in fact their daily work skills are far from what they presented them to be. Let your candidates know that if they promised something that they can’t handle – it’s not going to be a fun ride. To minimize the damage in hiring, you can always ask for recommendations from your friends and colleagues that are known for providing honest and detailed information. Most experts advise to avoid hiring anyone expensive and too experienced at the very beginning. You should also avoid hiring too fast, no matter how big investment you receive. If you want to do a good Account Based Selling, you should have a few people in marketing as well who will create content that your sales can use and generally develop your brand. Once your team is able to function by themselves, a founder can finally take care of more important business and give a job of a sales leader to someone else. It can be a manager or director, depending on your team size and revenue. Make sure you find someone who already has experience in managing 2 to 20 people. Because if they don’t, all the problems will come back to you, the founder. Ideally, they would be someone who got promoted from their junior position to a managerial one in the company similar to yours that they previously worked for. That means they have already gone through the nitty-gritty of everyday sales process and have proven their value enough to be taken to the next step. Sales managers can track the success of your sales reps, make sure they are meeting their daily, weekly and monthly quotas, as well as coach and guide sales youngins when extra help is needed. Manager’s main goal is to improve the current processes and optimize them, but occasionally they can come up with something, although it’s not necessary. This will happen once your sales team grows beyond 25 people. You will need someone able to handle multiple sales managers/directors and it’s usually a VP of Sales. Similarly to a managerial position, you need someone who has already been in a similar role at a company similar to yours and are known for results that have benefited the company in a great manner. Your VP should be able to come up with and execute sales strategy, scale and expand your sales partnerships, develop hiring and training processes, guide your best sales reps to a better managerial/directorial positions, close the largest deals and open new offices. Your sales senior will probably cost a lot of money, but hopefully, they will be well worth it. So take your time, don’t rush your VP hiring and make sure you’ve picked the right person. Can you do without a sales team? We’d always say no, because it will take too much of your time, but if you are already determined to do it yourself make sure you get good CRM or ABS tool, collect data that will help you tailor your value propositions and that you get used to rejections. We can make the selling easier for you by providing a highly targeted list of decision maker’s contacts that will save your time on prospecting. Accelerating sales of Twilio, Quid and Wiredrive were fun and a great experience for us – let us know if we can do the same for you.